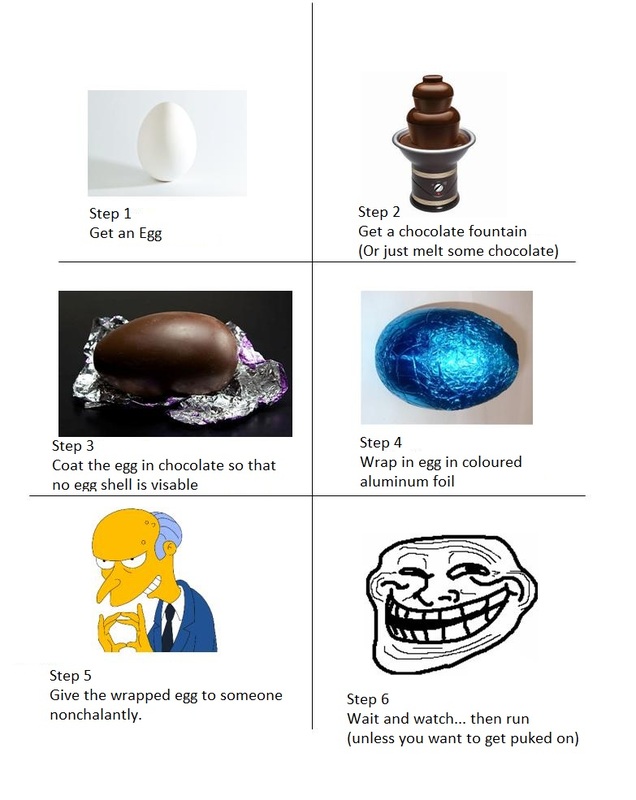 I found this picture tutorial of how to induce vomiting by using a real egg posing as a chocolate egg. Would I actually use this prank in real life? Probably not. Will I post this picture tutorial of the prank for someone else to use? Well, here it is below.